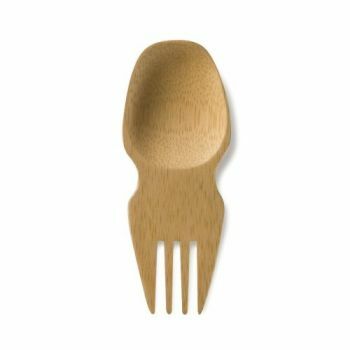 Certified Organic Bamboo Reusable Spork. 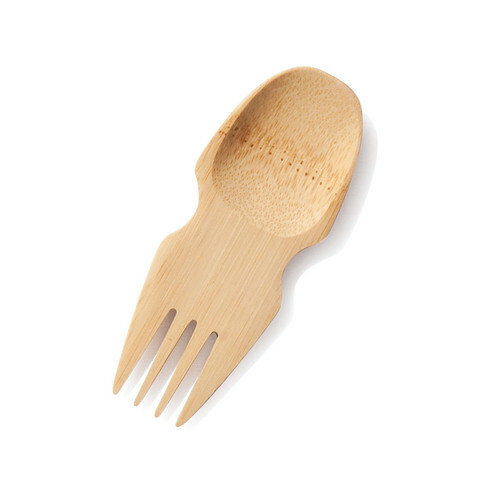 Cross between a fork and a spoon this clever and zero waste alternative to plastic utensils. Mini size and perfect for travelling, at home, kids and adults lunch boxes. Made from very high quality organic bamboo it feels strong and looks elegant. With care can last for years. Fully biodegradable and compostable at the end of it's life. Can be washed in dishwasher, handwash to prolong life. Perfect for when I'm out and about. Much better than a plastic fork!